Sally has been in real estate for over 35 years, with her years of experience she has been named in the Platinum Club, Humanitarian Award Winner and Top 10% in the Nation in sales. One particular quality she has is the personal bonding she establishes with her buyers and sellers. Sally has lived in Plymouth for 40+ years with her husband Richard and sons Richard and Adam. Sally looks forward to continuing her outstanding services to her past and future clients with her company Options 153. 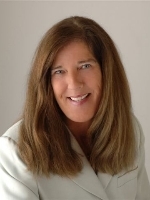 Please give Sally a call for all of your real estate needs at 508-314-1600, or visit her website at http://www.sallyking.net/.